How Much Reading Should a Second Grade Student Do Per Week? Story time is more than just reading words on a page. As a teacher or children's librarian, you know how frustrating it can be when children don't pay attention during story time. Every educator needs a few tricks up her sleeve to ensure that her students stay awake and engaged during story time. Keep your students' attention by getting them involved, being mindful of their attention span and making story time fun. Books that involve call and response, songs, dances or gestures will help children stay engaged. Another way to keep children engaged during story time is to ask for their help reading. 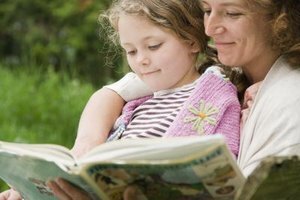 Rather than just reading aloud to them, call up one child to read each page. 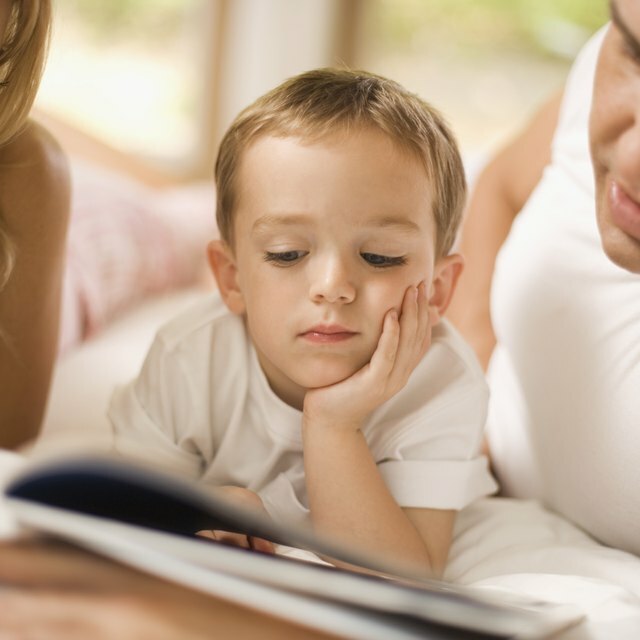 Kids will stay attentive because they know they may be called on to read. 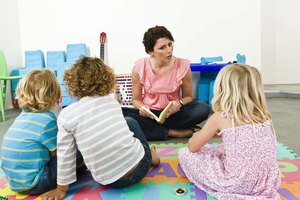 If reading to a group of mixed-age or mixed-level children, choose one of the older or more advanced students to read aloud to the rest of the class. Watching their peers stand in the teacher's role, if only briefly, will inspire them to improve their own reading skills. Have an arsenal of books that your kids absolutely love. If they feel lucky to read an old favorite they will be more attentive. Conversely, kids can get bored very quickly with old titles they've heard many times before. Keep your reading selection fresh in order to stimulate their young minds. Choose a book that is short enough to keep kids engaged. Attention span varies by age group so plan according to your classroom. Choose books with imaginative or beautiful illustrations that will capture your students' attention. On occasion rather than telling kids what you're going to read, ask them what they want to read. You can ask for suggestions or give a choice between two or three different books. When children feel that they are involved in the decision-making process, they are more likely to stay tuned. 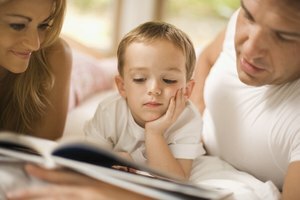 While reading aloud to your children, hold the book to one side with an outstretched arm so the children can see the illustrations that accompany the text on each page. When reading to your students, snag their attention by channeling the voices of the Big Bad Wolf, Rumplestiltskin or other fairy tale heroes of children's literature. Read slowly and pause before each page, which gives children time to integrate the material before moving on. If you have students who are hearing- or vision-impaired, bring these students to the front of the classroom while reading. In addition, if you know that certain students will try to annoy or distract other students, separate these troublesome students before starting to read so that you don't have to interrupt the story later on. Keep your reading area free of toys, art supplies or other things that could distract students from the task at hand -- listening to a story. Similarly, children should not be eating while trying to listen. Parkland Regional Library Conference 2008: "Secrets of a Successful Storytime." Activities on "Leo the Late Bloomer"
Janney, Parker. "How to Keep Children's Attention During Story Time." Synonym, https://classroom.synonym.com/keep-childrens-attention-during-story-4525041.html. Accessed 20 April 2019.